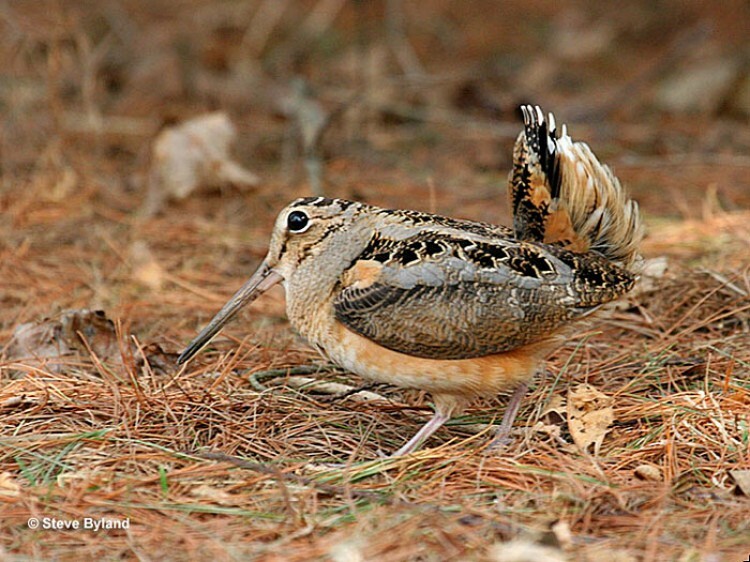 With its exquisite camouflage, the American Woodcock can be difficult to find unless it is performing its early spring courtship ritual in moist woodlands of the eastern U.S. American Woodcocks migrate at night, either alone or in small flocks. Male American Woodcocks usually return to the same display site from one day to the next. They may return to the same site in subsequent years, but do not always do so. American Woodcock home range sizes vary from about 15 acres to 70 acres.